Optrafair is an annual trade exhibition for the optical industry which takes place at Birmingham’s NEC. 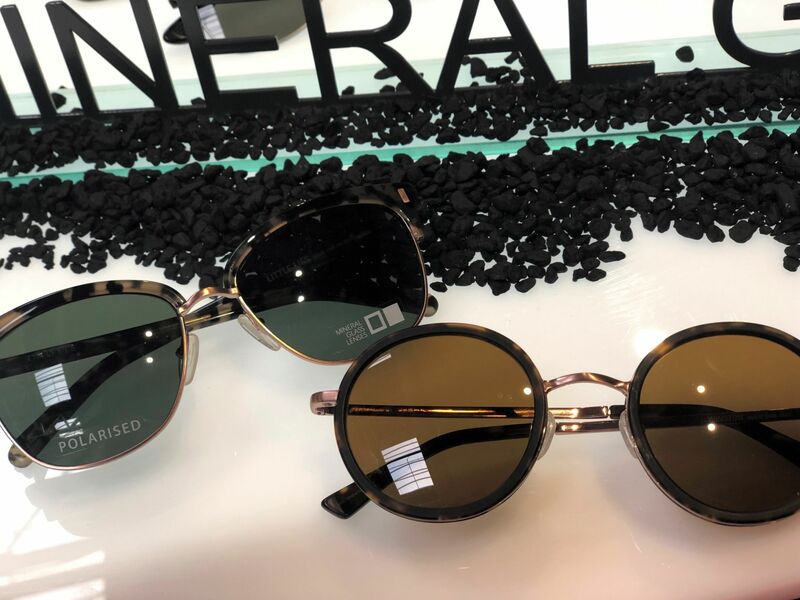 It was established in 1978 and it unites professionals, support staff, optical distributors and suppliers. The show provides opportunities to see new products and services, and to participate in free continuing education and training, (CET). 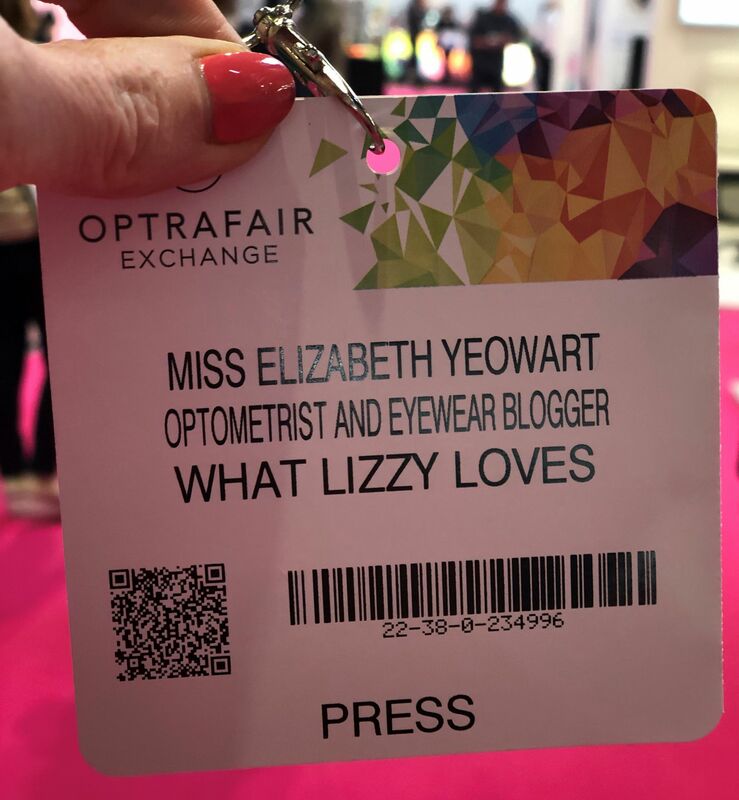 Back in the nineties, when I was a student and newly-qualified optometrist, Optrafair was THE trade show and THE social occasion in the optical calendar. At the time it was a biennial event so it was very eagerly anticipated. I went several times and loved it. But children and life got in the way and changed my focus somewhat so I stopped going. 20 years and a whole lot of life later, I went to Optrafair again last weekend, on the opening day. (It runs Saturday to Monday, with the Optician Awards on the Saturday night). I scheduled a few meetings and arranged to meet and catch up with one of my university friends. There are catwalk shows throughout the weekend which feature numerous eyewear designs- both ophthalmic and sun. Of course, I was in my element and it proves once again that glasses are both fashionable and functional. The practice I work in is an Essilor practice. We have a brilliant piece of kit called the Visioffice which is used to measure patients for the Essilor X4, a bespoke varifocal. 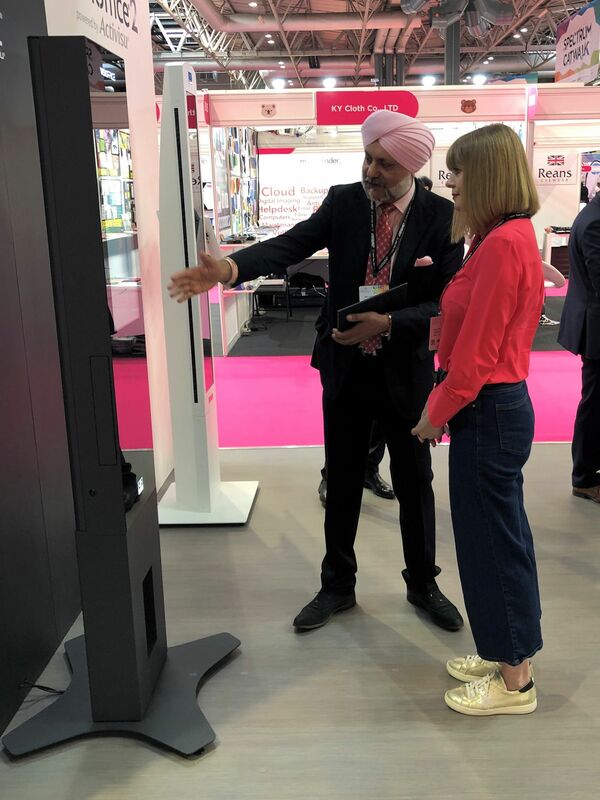 The company launched the latest version, the Visioffice X at Optrafair 2019, and I was the first person (ever!) to get a demonstration. 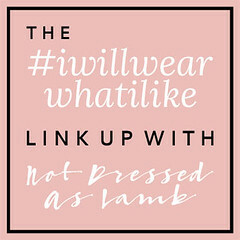 It’s brilliant and would be an asset to any practice. I’ve become great friends with the team at Bondeye Optical. 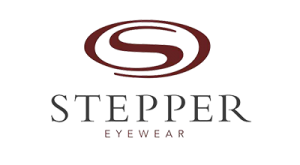 The company is a one-stop shop for all things optical from spectacle cases, to dry eye therapies and from lens glazing equipment to test room equipment. 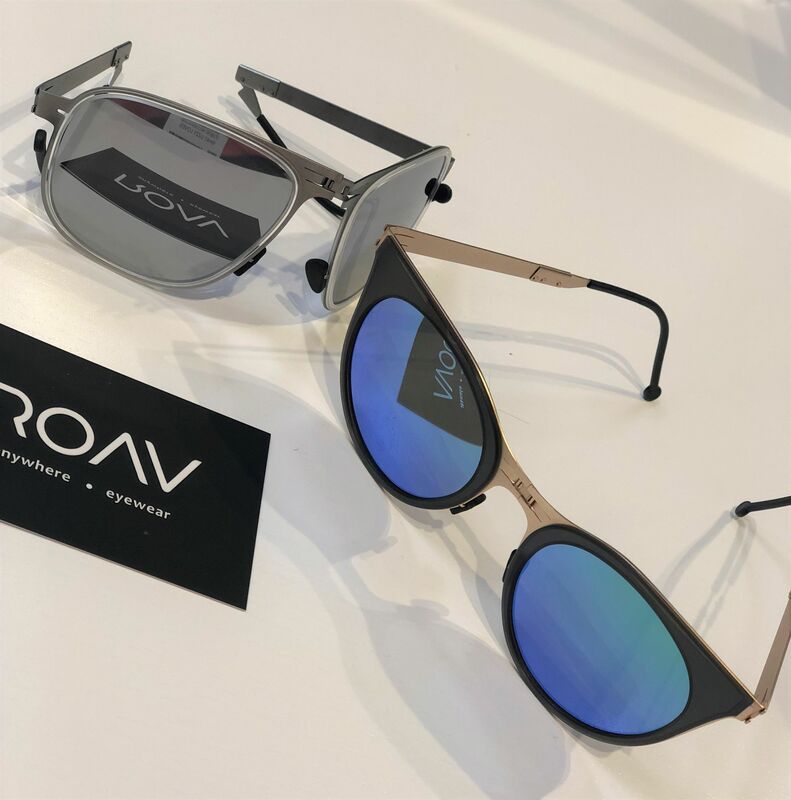 They are the UK suppliers of two outstanding eyewear brands, Roav, (which I love so much that I sell it in my eyewear shop), and Otis, an Aussie brand that uses mineral glass lenses. I spent quite some time at their stand looking at and trying some of the new designs. 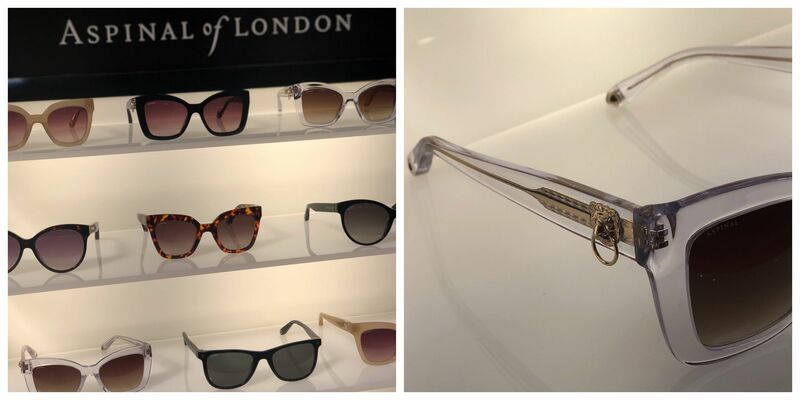 I was particularly looking forward to seeing the new Aspinal Of London Collection which is one of Eyespace’s brands. 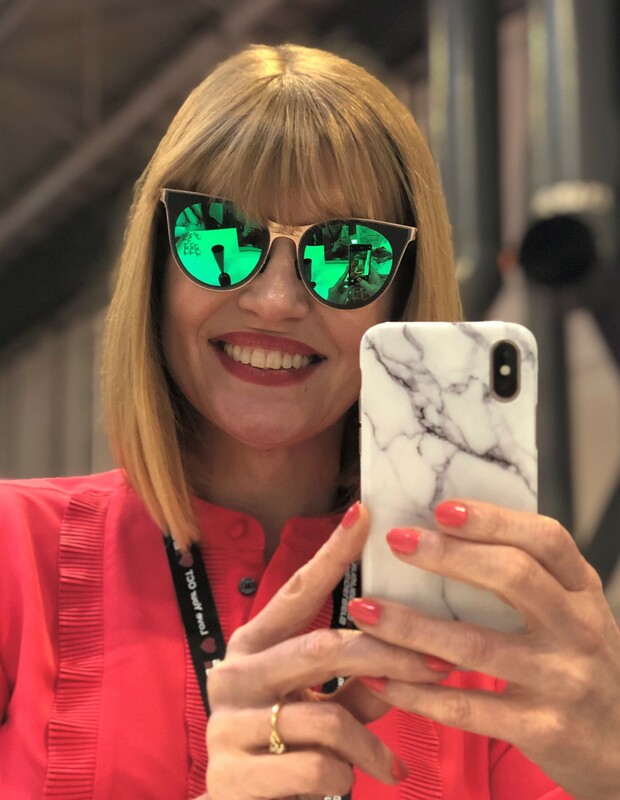 I’m featuring an Aspinal design in my regular eyewear column in Optometry Today (look out for the May issue), so I wanted to try and see it for myself. These are luxe styles but with an attainable price tag and I love the whole collection. I mentioned earlier that I arranged to catch up with one of my university friends. Well, this is Andy Britton who runs an award-winning, very well-equipped Specsavers in Haverfordwest, Pembrokeshire. 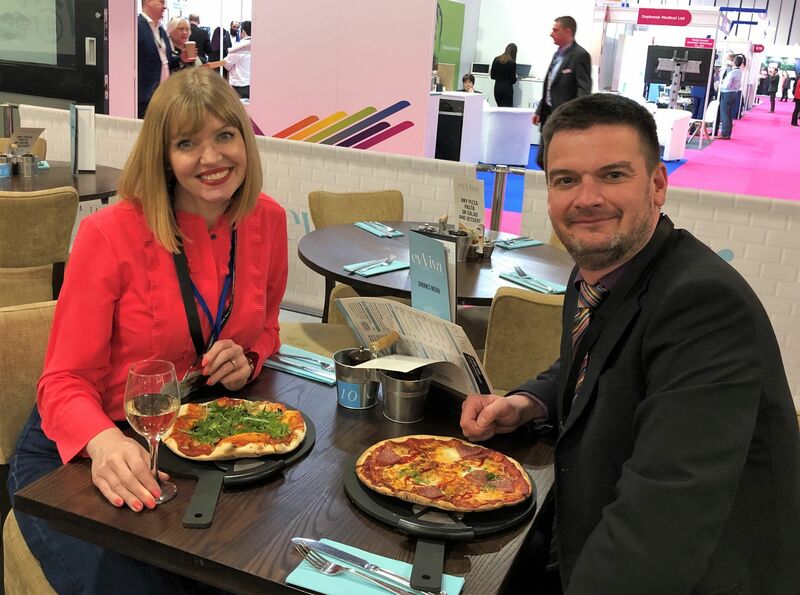 We had a lovely lunch and although we’re friends on Facebook and are in touch regularly, it was the first time in years that we were face to face. For me, these events are as much about socialising and networking as they are about the optical stuff. 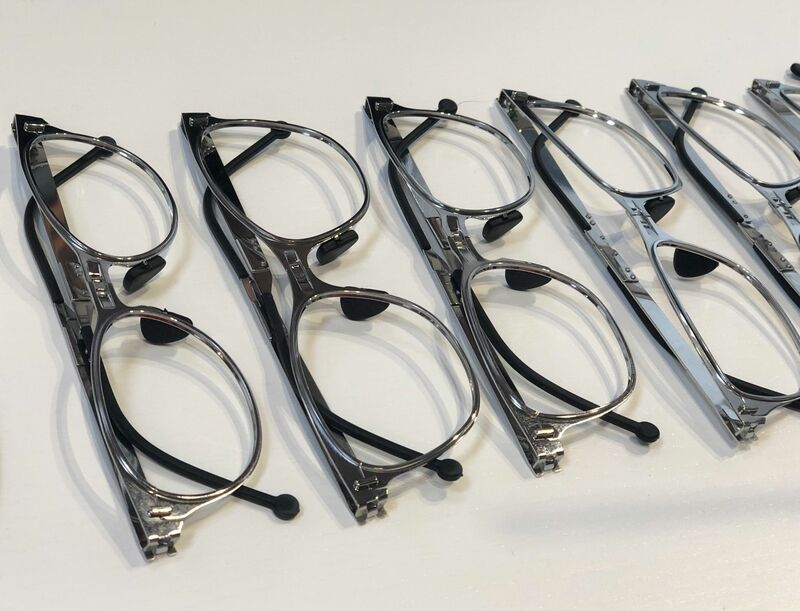 Optrafair offers a wide range of free CET. 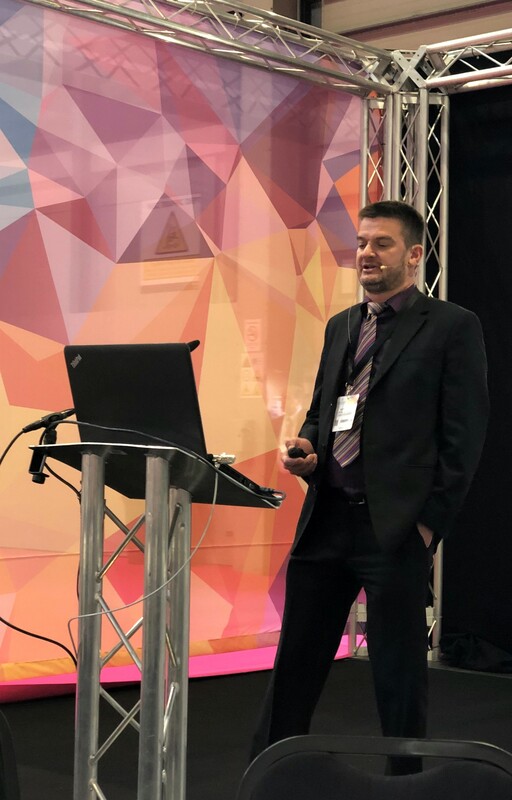 Straight after lunch, I went to listen to the aforementioned Andy deliver a lecture titled “Transformation of Optics from Retail to Clinical.” It was brilliant. Useful, relevant and very inspiring. And it meant I could sit down for an hour while listening to a friend talk about things that are very relevant to my career and come away with a CET point (optometrists need to get 36 points over a three year cycle). There were other exciting things too. 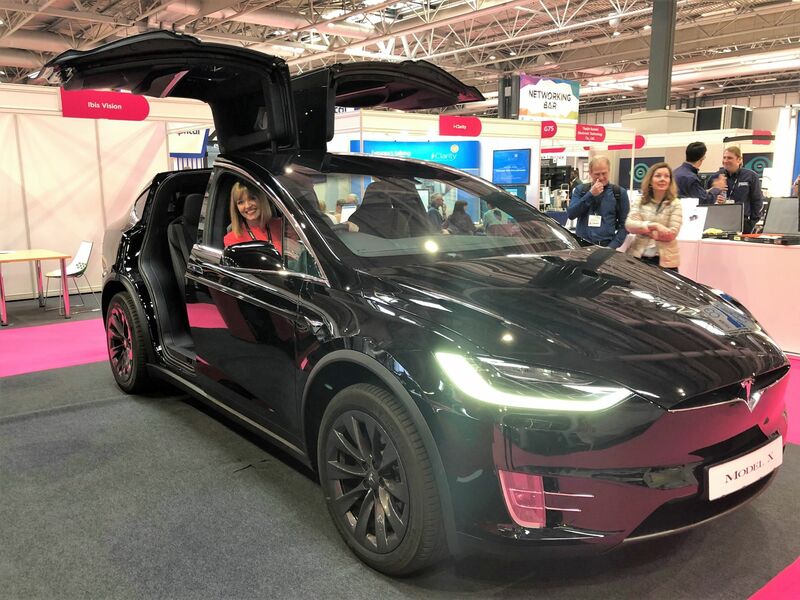 Tesla were exhibiting. Their mission is to accelerate the world’s transition to sustainable energy and the company has broken new barriers in developing the world’s highest-selling pure electric vehicles. I drive a petrol hybrid so I was particularly interested because I would certainly consider a pure electric car next time. I have always loved gullwing doors so I couldn’t resist climbing in. 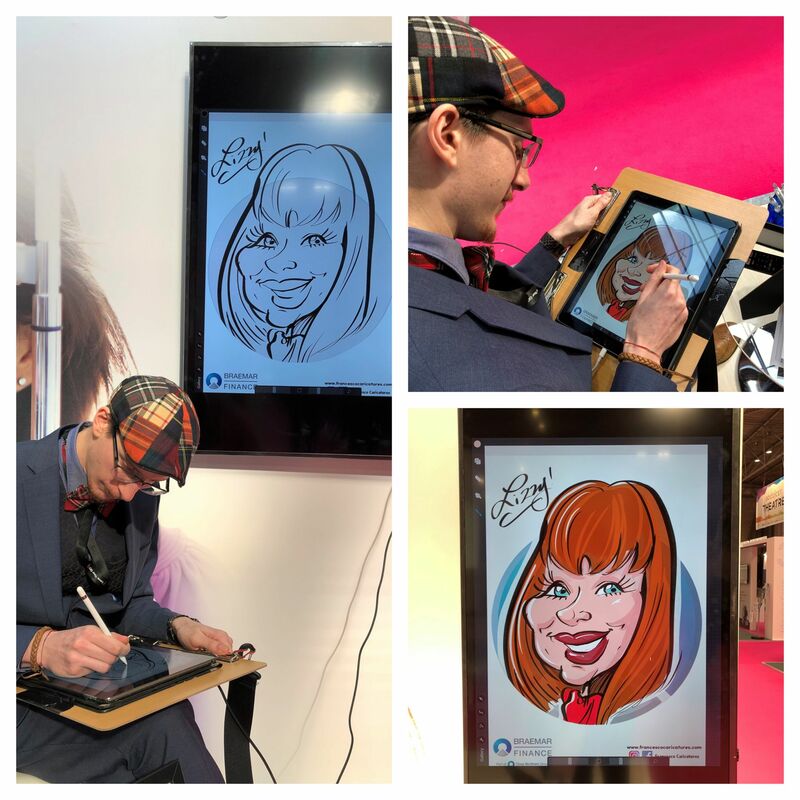 How Does Optrafair 2019 Compare With 100% Optical? 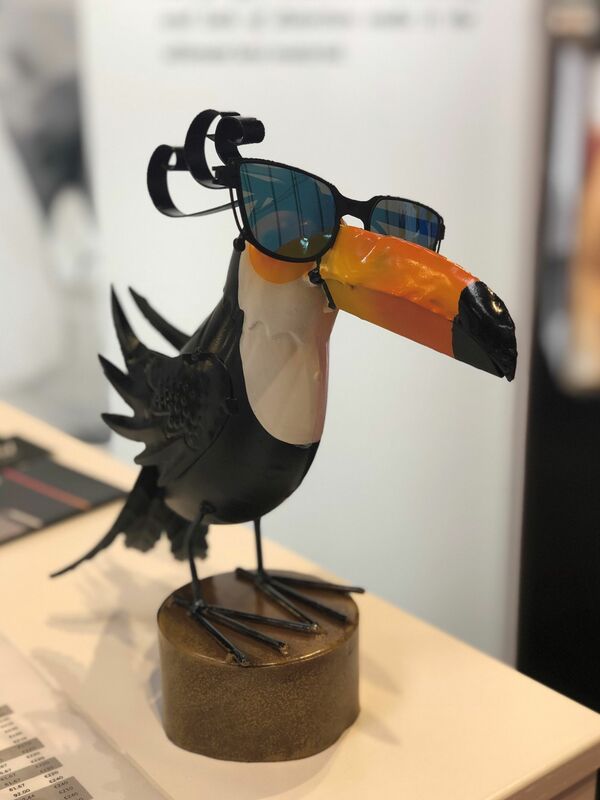 Optrafair is a much smaller exhibition than 100% Optical in every aspect; one can get around the whole exhibition in a day. It really takes two days to see the whole of 100% Optical. There were fewer exhibitors and it was calmer and quieter. However, that made it easier to chat to those on the stands. There is less focus on eyewear than there is at 100% and it’s less spectacular. But it was excellent. It’s easier to get to too, (for those of us living outside of London at least). I understand from work colleagues that the Optician Awards on the Saturday night was excellent, so that’s something I’d like to attend next year. 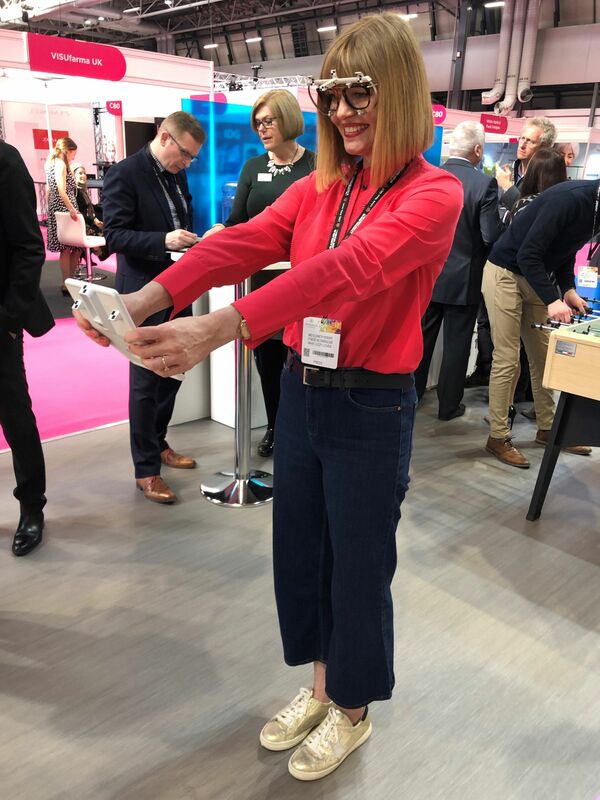 Optrafair 2020 will take place 4-6th April 2020. See you there.